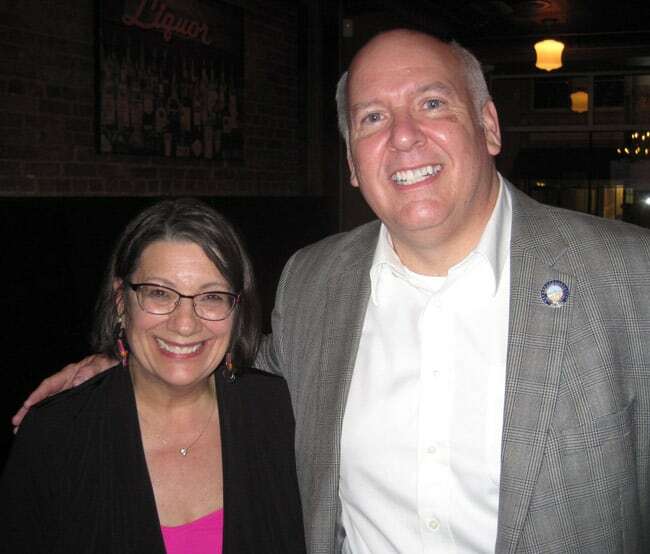 State Senator Michael J. Skindell is privileged to be recognized by the OEC Action Fund as one of its endorsed 2018 candidates. 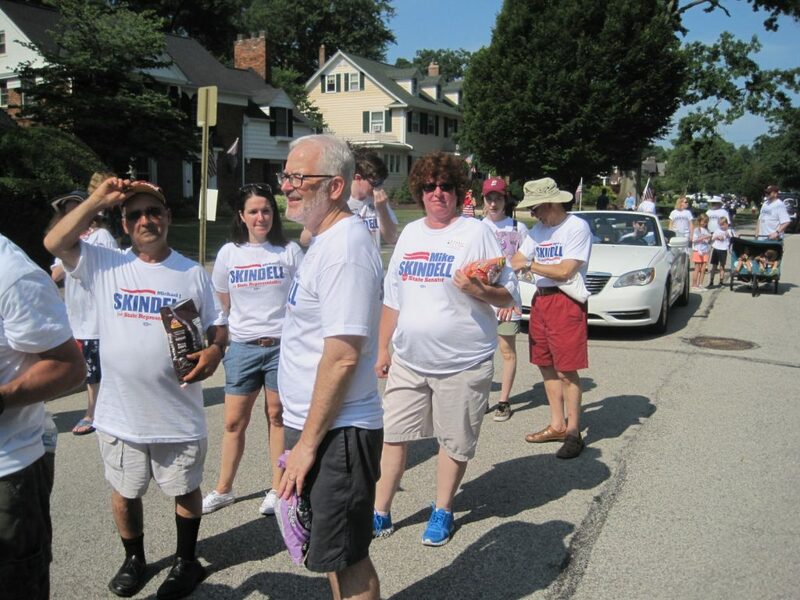 Over the summer, Sen. Skindell worked with colleagues in the Legislature to place much-needed regulation on the payday lending industry, and provide relief for consumers from astronomical fees and interest rates. Over a decade ago, The Ohio Legislature worked to regulate the industry by capping interest rates and limiting the size of loans lenders could provide. The lenders took advantage of a loophole, registering under a different section of Ohio law so they did not have to cap interest rates or fees. After ten years, Ohio now has one of the highest average interest rates in the nation, coming in at a whopping five hundred and ninety one percent. With one in ten Ohioans having taken out a “payday” loan, these higher interest rates and fees total hundreds of millions of dollars each year leaving the state and padding the pockets of out-of-state lenders. State Sen. Mike Skindell will join a select group of 14 legislators for the “Toward a Cleaner Lake Erie” working group’s first meeting, at 1 p.m. this afternoon. Algae in water is typically non-toxic and invisible to the human eye, but if allowed to accumulate to levels where it is visibly thick it can become toxic. At toxic levels, algae can destroy marine ecosystems by killing animals and depleting water of oxygen. Lake Erie is well past this threshold, Skindell says. “It’s a green muck” in the lake’s western basin. The problem is worsening, too. 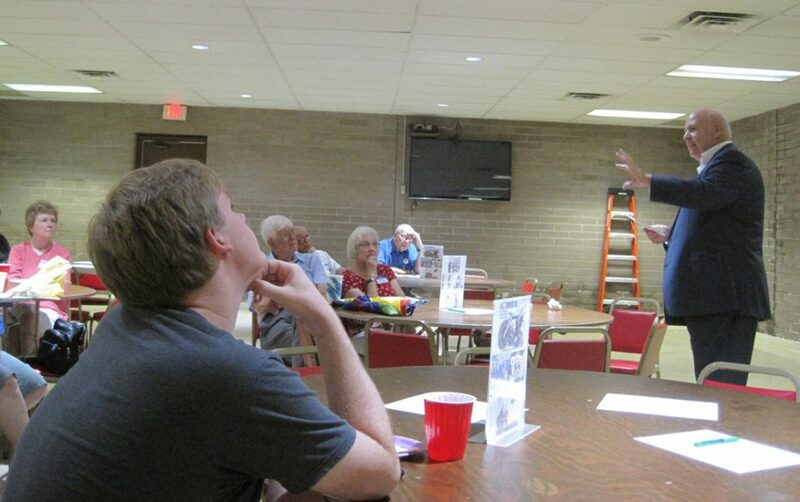 Skindell spent the evening discussing examples of how Ohio’s government, entirely controlled by Republicans since 2011, has by contrast prioritized special interests. Skindell explained that Ohio is among the worst states in the nation for exorbitant payday lending rates, which trap working people in a cycle of debt. The state passed reforms in 2008, but lenders quickly found a loophole which the legislature’s Republican majority refused to close. As recently as June, the majority went to extraordinary lengths to defeat a motion by Skindell that would have moved reform out of the Finance Committee for a vote by the full Ohio Senate. 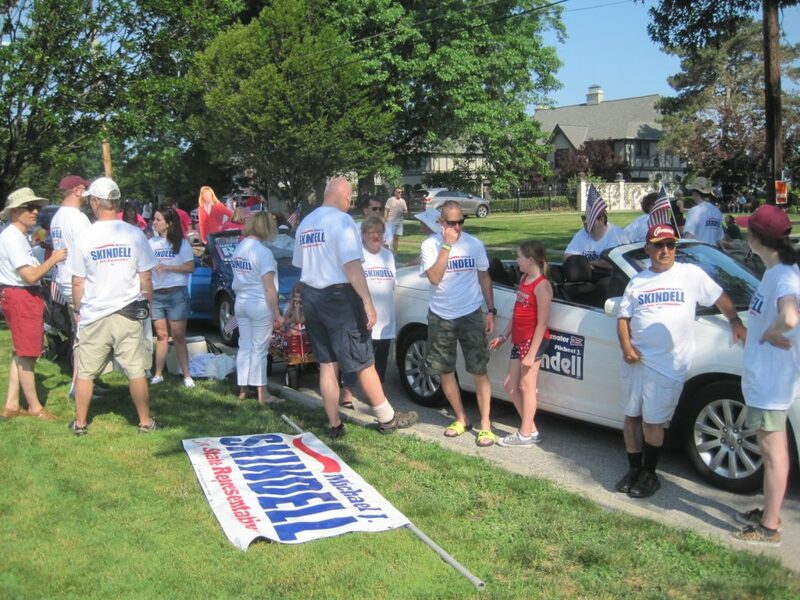 State senator Mike Skindell was honored to take part in Lakewood’s July 4 parade, today, and to be joined by teachers, families, members of city council, campaign volunteers and many longtime friends. Today the U.S. Supreme Court issued its decision in Janus vs. AFSCME, ruling that public-sector unions’ fair share fees, collected from employees who decline to join a union but still benefit from their negotiations, are unconstitutional. The decision essentially brings so-called “right to work” to public sector workers in Ohio and across America. Michael J. Skindell’s campaign to represent Ohio House District 13 has been formally endorsed by the Sierra Club. Throughout his career as a legislator, Skindell has championed the cause of clean air and water. In recent weeks, he has been working to promote wind energy development, to protect Ohio’s renewable energy standards, and to prevent taxpayer funded bailouts of polluting fossil fuel plants. Skindell says that he is honored to have the endorsement of the Sierra Club.